These are the journals of the SimpHoo comic. It took me 3 months to finish the 1,2,3. During the time I make the comic, every day I write down the important experiences and inspirations, if I can still open my eyes in the end of the day. 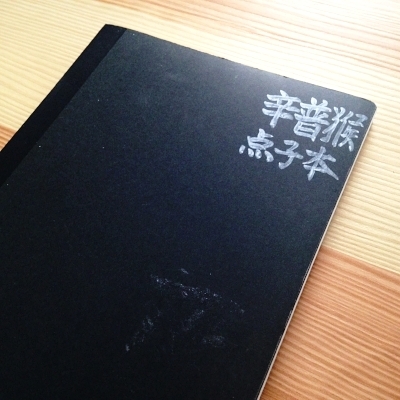 These A5 notebook from Muji are my favorite notebooks for writing. They are thin so my hand wouldn't dangling while I was writing on the edge. They are exactly the half size of A4 (international copy paper), and they are simple and well designed. It's very easy to carry them, as well as archive them. The left corner one (with rounded corner) was brought in 2016. Unfortunately they stopped selling it. I really liked the rounded corner which preventing the corner of the notebook being hit. So I brought 5packs this time for those 3 on top. Hoping they won't stop it again. On the moment I write down this sentence, I think I should go buy more. I also write down the "unexpected ideas". These ideas comes from nowhere, like, if you are experiencing some beautiful moment and you want to capture that feeling by drawing. 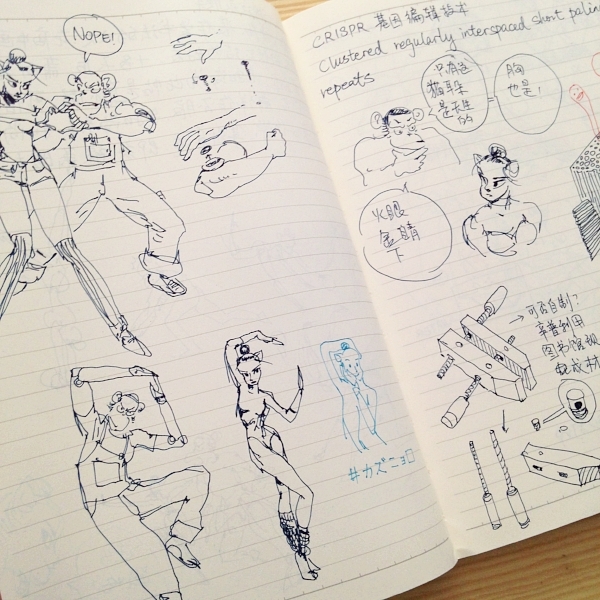 They are very important for artist because they are inspirations. If you just let them go, they will never come again, but if you follow them without any discipline, they would lead you to somewhere else rather than your own route. I've been through it, a lot of times. So I found this way to write down it then check my yesterday's TO DO list, to be precisely, yesterday's UNFINISHED TO DO list. It always set my route straight. The interesting thing is, when you read your journal from 2 weeks ago, they looks like someone else's thought, that's something I didn't know before. I have never written any journal since I was a kid, until I just visualized the time we passed by flipping through these journals, or to be more precisely, the time I wasted. As you can see, I separate these notebooks by functions: sketchbook for sketching, Pads for finish artwork, and lined notebooks for writings. In the meantime, I control the numbers of notebooks for the same project, archive them by time, and keep them as the same height (21cm or 8 1/4 inches). I know, it's very obsessive, but it's efficient for me. Like any other artist, I keep drawing on several sketchbooks at the same time. They are divided by project or sizes, papers. I would like to share my experience of using them, as soon as I finished them:) Next time, I will talk about the very important step of my comic's production- the thumbnails and "Name".